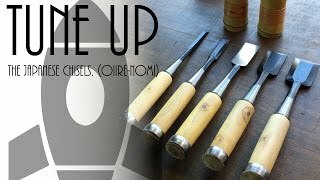 Japanese woodworking chisels are great but knowing what to look for when buying one can be confusing. 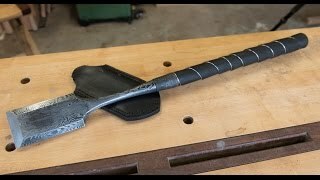 Here is my take on buying used chisels on ebay. Nice Stiletto just saw it on the tool bench. Didn't know you had one. Props. Best persuader EVER. 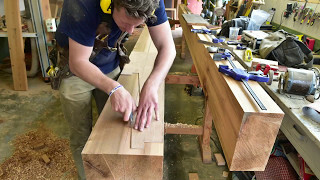 I am looking at some White or blue edge chisels, but have been told Japanese chisels chip easily and do not perform well in hardwoods ?, examples of hardwood timbers I use in Australia have Jenka ratings from 3,900 to 5,060 lbf in comparison American timbers, Hard Maple 1,450 lbf , Hickory 1.850 lbf, Black Walnut 1,010lbf any suggestions ? You are awesome. Maybe one day I will get to meet you. I love wood. 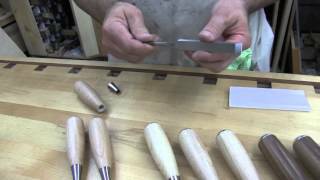 Do you have any Japanese chisels that you recommend or sell? I'll look for one. 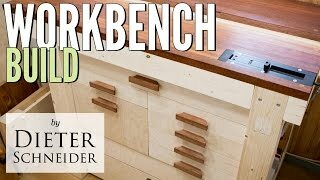 Thinking one japanese dovetail chisel or longer paring chisel. Also looking for an E.A. Berg, Witherby, Swan and Greenlee socket chisels of the various sizes to make a set with mismatched steel but custom matching handles. Something nice to tie them all together. This is more fun to me than buying a full set when I will only really use 4 or 5 really quality ones most often. "These are the best, not because I've ever tried anything else, but because I get kickbacks for selling to dumb fucks." You say Japanese Chisels are a combination of USA and European design being socket and tang we are barely over 200+ years. How old is Japan? LoL.... 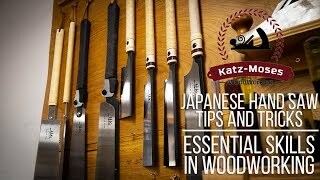 I Will say it for you, Japanese Chisels are the best by far and for you comment readers check out Japan Woodworker you can do some research and pick your blacksmith for blue steel or white steel at a surprisingly great price. 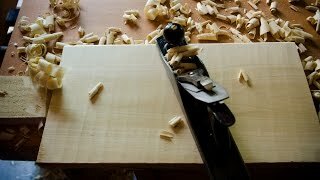 Can I use bench chisels for making dove tails? 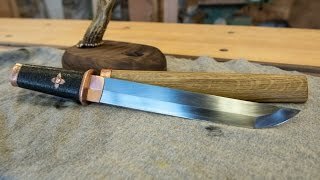 or do I need special dovetail chisels like Shinogi Oire Nomi? eBay is the WORST place to shop for tools like this. It's a combination of scam products or bait titles that aren't really a Japanese tool. Or, a Japanese value tool that you could get from Japan Woodworker (or the like), but they're selling them on eBay for more money. Or, listings for "Antique" or "Vintage" Japanese chisels that are beat all to hell and worth maybe ten bucks and they want $50-$100. MAYBE one good listing comes up a couple times a year, but who has time to troll eBay nonstop for a year in hopes the deal comes up? You are a wizard, and you almost sound like a wand salesman from Harry Potter. So let me ask you this, "Does the chisel choose the carpenter?" Don’t say “harder’, say less brittle. Low 50’s HRc is hard to sharpen, doesn’t hold an edge well, and the edge wears quickly. Wether cutlery or chisels, HRc in the low 60’s (my favorite is 61.5) is the best most well rounded steel. 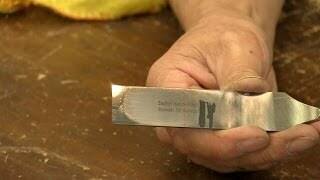 MAC or Morimoto make phenomenal blades. 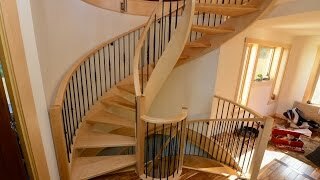 Many Thanks Samurai Carpenter - Enjoying all your videos! Whats with the raw wood slabs behind you? 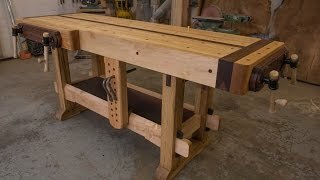 Bar top video! I appreciate these fairly in-depth exposes on various tool types. I'm finding them highly informative. Japanese chisels are AWESOME! But there are some $400+ sets that rock then you know how they have been taken care of from day one. But first buy basic auction chisels at auction so you learn how to care for them. 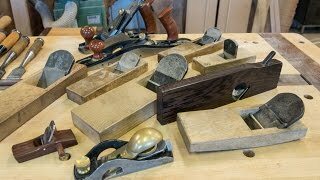 Where is the chisel that rules them all? great,a good down to earth presentation and I learnt a lot thanks. LOL Did you know? That hand gesture you do at the end of all your videos is the gentleman's way of giving the middle finger in Great Britain and Australia. I've gone through all those stages of "cheap," and then "cheap Japanese" and finally good Japanese. There is no going back. They are worth every penny you spend on them. Your explanation was easy to digest. Thanks. 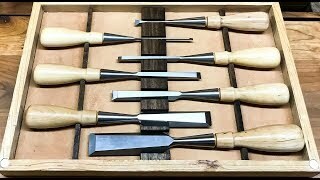 Hi Jesse, can you tell me the difference between hybrid, temple, dovetail and orie nomi chisels. 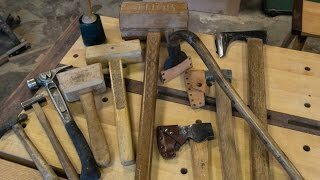 I am looking to get a starter set of 3 or 4 chisels and building from there. Any advise would be appreciated. 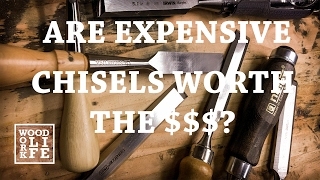 Those pheil Chisels are super pricey for a beginner. Any suggestion for a more economical set. Under a 100 or even under 50? In the first part of the video you keep mentioning a specific name of a manufacturer but my 70 year old ears aren't picking it out !! Sounds like male - hale - fale ? Just got my first 3 timber framing Matsumura chisels! I am totally excited to have them! Thanks for all the info you provide bro! Keep it up! 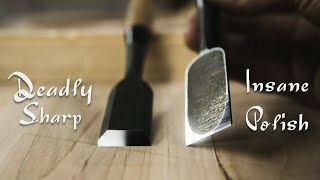 what's the method of sharpening your chisels and how to know when it's too early to sharpen or when it's time to sharpen. 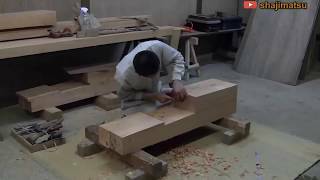 Hollow grind, I see is on the Japanese slick, should anyone hollow grind type bench chisel ? What is a "slick" compared to a standard or whatever ?? I have an antique chisel with about 3/8 of the bottom portion broken off. There any way to fix that? else. I think Japanese chisels are beautiful, but I have always found the ura annoying. my dad tells me the story of Michigan out of doors when it comes to crap talking name brands. 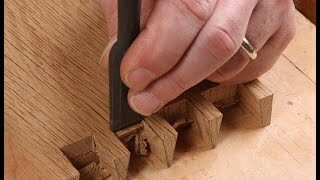 Lie Nielsen, best socket chisels I've ever used. Not any more expensive than any other quality chisel available. Just went to the link for the chisels. Unfortunately most of the amazon links from your site say that the chisels are not available anymore. Hi Jesse. I'm planning on ordering myself a few good bevel edge chisels but I'm a bit in the dark as to which sizes I should get. I don't think it's necessary to buy a complete set. What would you say are the most commonly used sizes in a standard workshop? man id love to see close-up shots of each. 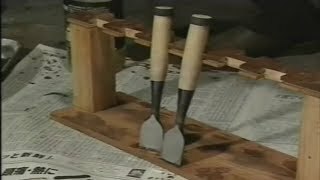 could not get thru a.whole video with just one angle..
What makes the Japanese Hand Tools (Chisels) more Amazing & Incredible than the Western Variety? 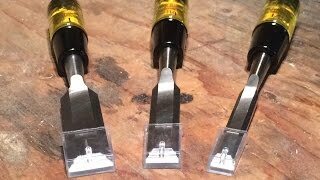 Buck Brothers Chisels | Good Value or Cheap Junk?